Welcome to a new installment of “Meet our Members.” It’s time to get to know another awesome member of our community: Meet Bart. Bart Triesch became a WikiTreer in July of 2015. He enjoys our Westward Ho and German Roots projects as well as and collaborating with others to smash through brick walls. I’m researching many surnames including Triesch, Portz, Jacobs, Schlader, Keay, McGhie, Fry, Sojat, Stefancic, Baretic, Radosevich, Starcevich, Bolf and many more! These surnames are connected to the immigrant ancestors of my wife and myself, some arriving in America as early as the 1700’s. I’ve done extensive research in Eastern Washington and Northern Idaho (my German immigrant ancestors settled there). Roslyn, Washington, and Lincoln, Illinois, are both coal mining towns and many of my wife’s Croatian immigrant ancestors lived there. I am also researching the Croatian towns of Lic and Lokve. My wife appears to be related to just about everyone who has ever lived in these two Croatian mountain communities. My wife (of 52 years!) always collected bits and pieces of her family’s history, starting when she was a child. She would ask her grandparents, mother, father, aunts, uncles and others what they knew about the family and where they came from. She kept her handwritten notes in a small box and one day, newly retired and bored, I opened the box and started to read. What amazed me was that the recollections of the family members she had interviewed were incredibly detailed and accurate. With these little scraps of paper to start with, my genealogy quest was on. My favorite ancestor is my great-great grandmother, Anna Ella Schneider Jacobs. Anna and her husband were German immigrants. In 1867 she and her family embarked on a 1500-mile wagon train trek over the Oregon Trail, from Jacobs Prairie Minnesota to Walla Walla, Washington. Anna, despite being pregnant walked most of the way (typically only children and the elderly rode in the wagons). The six-month ordeal took its toll on Anna and sadly she lost her baby shortly after it was born. She went on however to have a total of 14 children and at her death in 1920 (age 84) she was the matriarch of a hugely successful wheat farming family that is still based in Eastern Washington today. My great grandmother on my mom’s side was Susan “Susie” Broder Fry. She was the second wife of my great grandfather Frederick Fry. Susie died in childbirth in 1910 in Whatcom County, Washington, about 60 miles from where I live today. 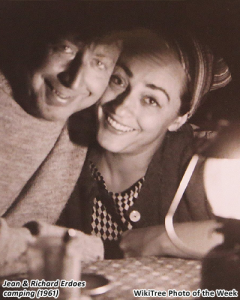 I have created profiles for her Irish-immigrant parents, but some genealogists have disputed my documentation. I also have been unable to locate where she was buried. I feel that Susie’s profile is incomplete, and it just drives me nuts. Winston Churchill. What an inspirational leader. He rallied his island nation to fight a horrible evil and despite unbelievable obstacles went on to victory. While Winston and I are 12th cousins, my wife likes to remind me that she and Winston are 6th cousins! Btw, Winston’s mother, Jennie Jerome was an American. Members of WikiTree should check Relationship Finder to see if they are related to Winston and his mother. Many will be surprised that they are. I’m an amateur birder. Every morning I place bird seed and nuts on a rock outside our kitchen window. So far, we have seen juncos, chickadees, purple finches, goldfinches, cowbirds, red wing blackbirds, towhees, crows, ravens, and my favorite, the bright blue Steller’s jays. And on top of the food chain we have an occasional Bald eagle and Coopers hawk. My birder hobby is not scientific. It just relaxes me to watch them. I started on WikiTree in June of 2015, so I’ve been here for 3 & 1/2 years. I am on the Westward Ho project and early-on that was my primary focus. The German Roots project also was a focus of mine and I was able to solve many mysteries as a member of this group. Slowly however my pace slowed down when it comes to creating profiles and I switched my emphasis to quality rather than quantity. So now, much of my time is spent on improving my sources and adding to them. I also have developed genealogy colleagues, most on WikiTree and some from all over the world. We collaborate constantly, chipping away at shared brick walls. When I started googling the names from the notes in my wife’s family tree history box, a WikiTree profile of her grandmother came up. The profile had been completed just one week earlier. 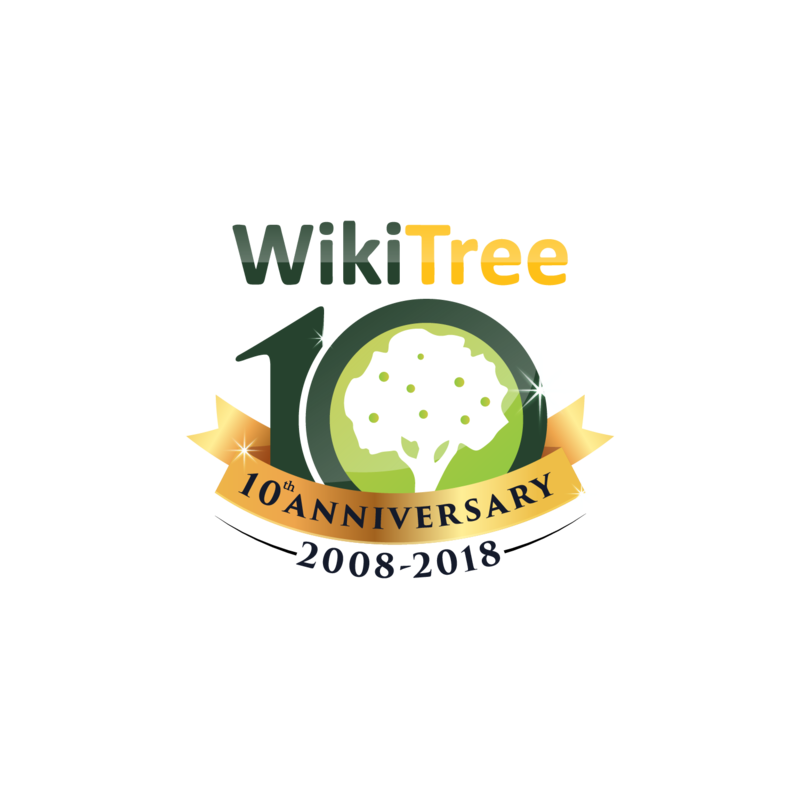 I asked myself, “What is WikiTree?” Within a week I was a member and was creating profiles (and making all kinds of newbie mistakes, which I later fixed). If it wasn’t for that newly created profile (thank you Claudia Steele Bourdon) I may never have found my way to WikiTree. I think the Relationship Finder is very educational as well as a lot of fun. I don’t care so much about being related to the Magna Carta Barons – almost everyone is. But I do like discovering that my brother and his wife are 5th cousins. It creates great dinner table conversation! I would love to see an easy-to-understand tutorial for new members. While I know we have lots of resources for new folks, I think a gold standard tutorial for getting new WikiTree members started has yet to be invented. I’ve seen too many newbies (some relatives of mine) drop out because they think WikiTree is too complicated. I am contacted often by previously unknown cousins of my wife and/or myself who stumbled upon my WikiTree profiles. Some of them are amazed at what I have discovered, and they are anxious to help me expand their family lines. We have met in person with some of our new-found cousins and they have become a real part of our family, and not just a profile on WikiTree. Take a deep breath and go slow. Take the time to look around before you jump right in (like I unfortunately did). And above all, get to know the G2G forum. There is no such thing as a stupid question. And there is an army of WikiTree members out there who are there to help. Bart….My German connections. Emery via Wolfenbuttel Germany to Lebanon, NJ, western Pennsylvania, Ohio County WV, mid Ohio,Iowa. Branches to Indiana and Kansas May be of value to someone. Andrew Stewart is my 15th great grandfather and your 13th great grandfather. This makes us 14th cousins. JACOBS: There are 2358 entries for the surname Jacobs on this site. I suggest that you only check the digitised items only. Open the above site, type in surname Jacobs in keywords, press search, click on column headed “Digitised Items” then search these records at you leisure. Do this with any other surnames you wish to check.